Shilpa Shetty Kundra is undeniably one of the biggest fitness icons that Bollywood has given us. The 43-year-old spunky diva is always inspiring her fans and followers to eat healthy, while also enjoying their lives. The former actor has always promoted the occasional binges once a week, but she also stresses on the importance of moderation and keeping one's sugar intake under control. Her Sunday binge videos, where she tries out various different types of desserts and high-calorie treats, are wildly popular on Instagram. But her page is also popular for giving us dietary inspiration and giving us ideas about how to make our meals healthy, low-calorie and more nutritious. She often posts pictures of her healthy breakfast and lunch meals on her Instagram stories, empowering any weight watchers out there to eat healthy, while not having to compromise on the taste. 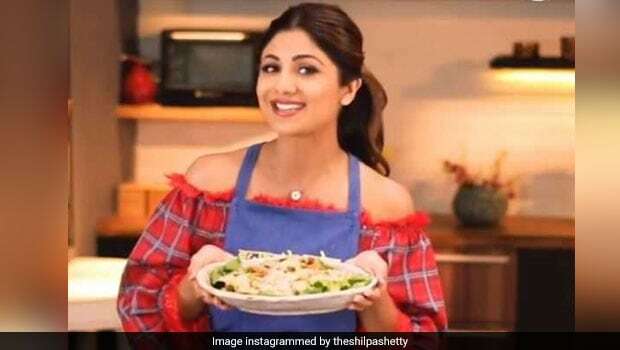 Shilpa Shetty posted a picture of her on-set salad meal, which inspired us yet again. 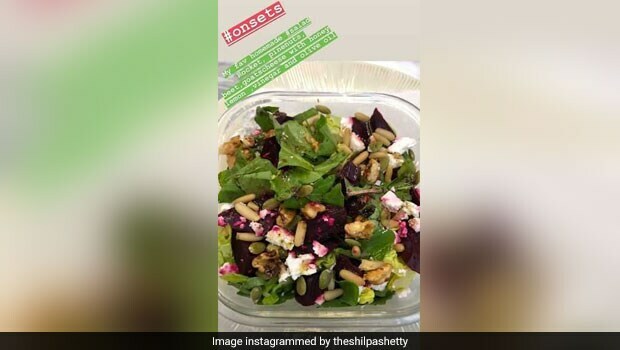 The diva's very seasonal salad contains rocket leaves, beetroot, goat cheese and pine nuts in a dressing made from honey, lemon, vinegar and olive oil. Also Read: Watch: Shilpa Shetty Reveals How She Burns Off Calories From Sweets! While all of us are mostly aware of the health benefits of eating beetroots during winters, not many people are aware of the other wintery food that is also very nutritious- pine nuts. Also known as chilgoza in Hindi, pine nuts are loaded with essential vitamins and minerals. 1. Regulates mood: These nuts are loaded with magnesium, which helps keep winter blues and depressive moods away. 2. Regulates blood sugar levels: The presence of unsaturated fatty acids in pine nuts makes it great for the heart, as well as for regulating blood sugar levels. 3. Keeps you alert: Pine nuts are rich in iron, which keeps the brain alert and drives away sluggishness during winters. 4. Boosts skin health: Pine nuts are replete with healthy fats and antioxidants, which are both important for boosting skin health and slowing down skin-ageing. Pine nuts are however, extremely high in calories- a 100 gm of the nutty seeds pack as many as 673 calories (as per USDA data). So make sure you only eat a few pine nuts in a day. Do you include pine nuts in your winter diet? Let us know in the comments section below!